The above link is to a You Tube video of a professionally directed film about Skywalker–Close Encounters on the Appalachian Trail. 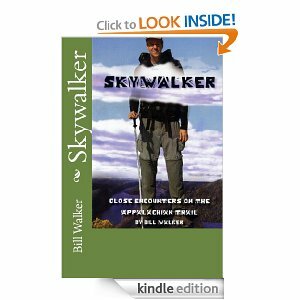 It is 10 minutes and 31 seconds long, with striking footage of America’s best known hiking trail and an entertaining interview with 7-foot tall, Bill Walker, who is known in the hiking community as Skywalker. He is the author of other outdoor adventure narratives, including Skywalker–Highs and Lows on the Pacific Crest Trail, Getting High–The Annapurna Circuit in Nepal, and The Best Way–El Camino de Santiago. Walker, who is nearly 7-feet tall, is currently working on a whimsical book on the subject of height.